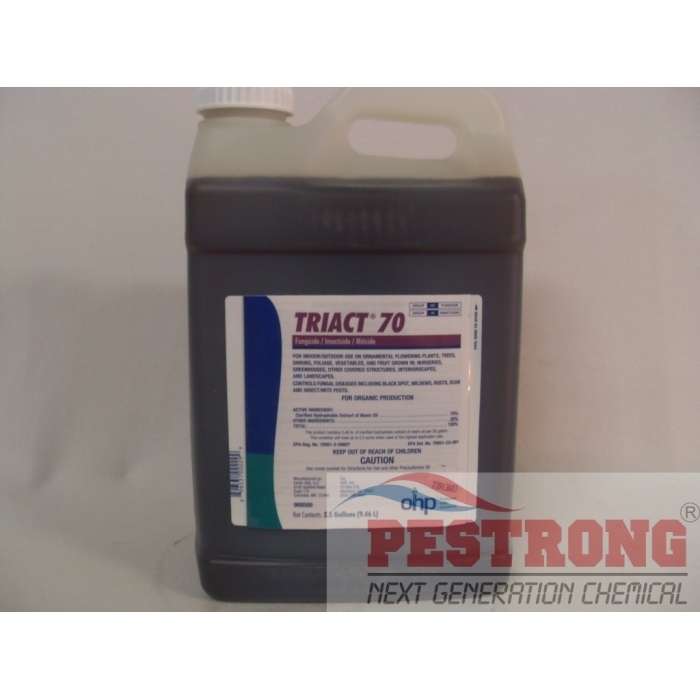 Where to Buy Triact 70 Neem Oil, Triact 70 Neem Oil Fungicide Insecticide Miticide - 2.5 Gal - $172.85 for Sale with Fast Free Shipping! Triact 70 Neem Oil Fungicide Insecticide Miticide - 2.5 Gal highly effective and economical botanical oil may be used indoors as well as outdoors on ornamental flowering plants, trees, shrubs and foliage grown in greenhouses, interiorscapes and commercial landscapes. Conserve SC Turf Ornamental Biological..
70% Clarified Extract of Neem Oil. Controls Fungal Diseases Including Black Spot, Mildews, Rusts, and Scab. Kills Mites and Insects Including Whiteflies, Aphids, and Scales. MIXING INSTRUCTIONS: 2 tablespoons (1 ounce) per gallon of water or 0.5 - 2 gallon per 100 gallons of water. Frequently mix solution as you spray. If you want to smaller size or use for residential, Use Triple Action Neem Oil - Pt. If you want to more cheaper product, Use Trilogy - 2.5 Gal. This works great on St. Augustine grass. It's just a deterrent to the bugs though and needs to be applied every few weeks during the active summer months.